Now this is kinda cool. 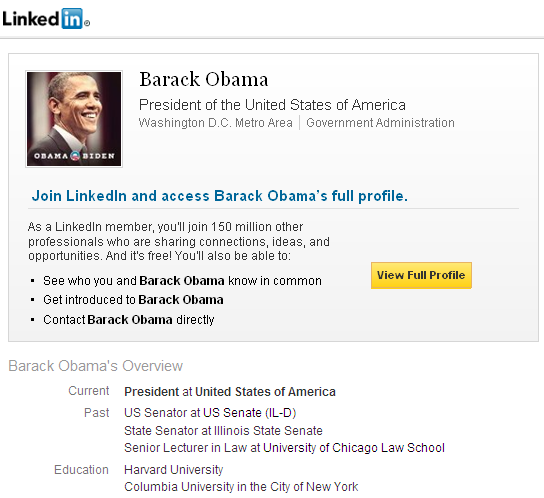 The President of the United States of America - Barack Obama has a LinkedIn profile, which is part of his social media strategy for the upcoming US election. Now to go searching for Australian politicians on LinkedIn.